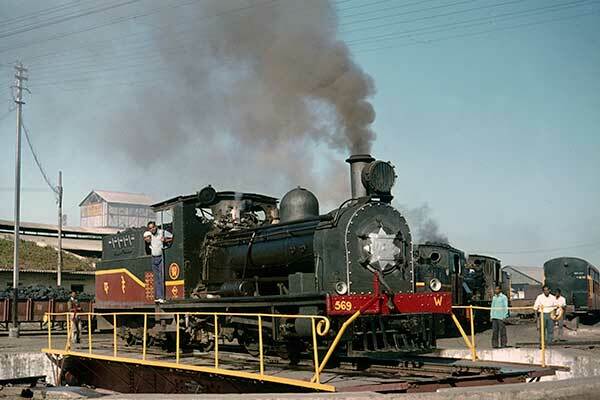 Caption - Indian Railways (Western Railway) 2'6" gauge W class 0-6-2 no.569 is seen at Pratapnagar Works after receiving an overhaul. At the time this loco was used on the line from Morbi to Ghantilla. A Bagnall product it was delivered in 1912. With a 5 ton axle load they were eminently suitable for lightly laid narrow gauge branches.